Welcome members to the MHS Athletic Hall of Fame! 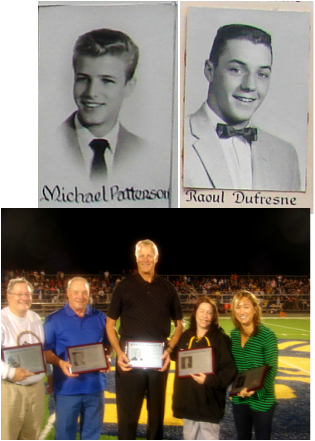 Mike Patterson('61), who led the Zephyr's to the State Consolation Basketball Championship in 1961 and Raoul Dufresne ('56), a multi sport star, head the list of five new members inducted into the MHS Athletic Hall of Fame. Paul Beggin, Coach who introduced soccer to MHS in 1982, Jena Kluegel, world class soccer/x country star and Shannon Pohl standout Gymnastic Athlete,round out the new inductee class of 2013. Induction ceremonies took place at a jam packed George Smith Field at halftime of the Homecoming Game, Zephyrs vs St. Thomas' Tommy's. Topping the night off, the Zephyrs handily defeated the St. Thomas squad. 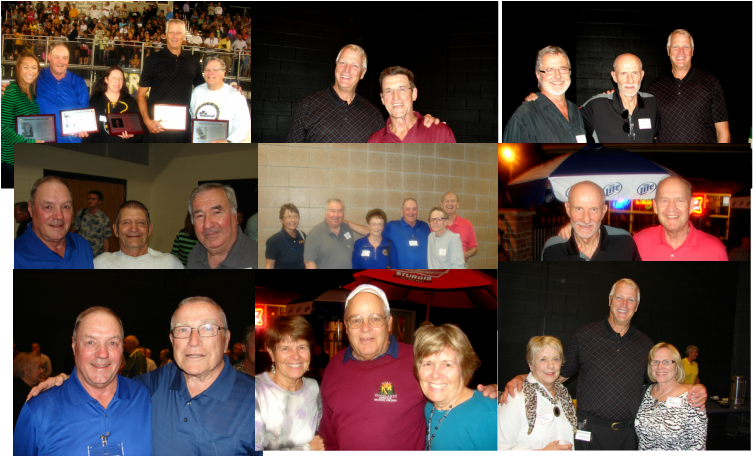 Lots of alumni were in attendance and we have a bunch of pics. Stop by often to see more of your friends!